History is important in Pokemon, primarilly in it's mythos and culture, as touched upon in my last article. One often overlooked sect of Pokemon history is the origin of fossil Pokemon, and that's our topic for today. The reason I like fossil Pokemon is the creativity in design found with them. Nintendo decided not to just choose different kinds of dinosaurs for each new generation, instead choosing much more varied real-life prehistoric creatures to base most fossil Pokemon on. So, without further ado, let's take a look at fossil Pokemon from throughout the generations. Omanyte and Omastar are based on a kind of prehistoric shellfish called an Ammonite. 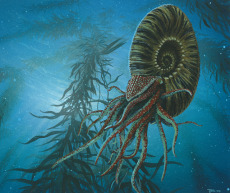 Ammonites, despite having no obvious way to swim due to lack of fins, did not live on the ocean floor. Instead, they would float through the open ocean by filling their shells with a kind of naturally produced gas that would make them buoyant, able to float. Ammonites could also navigate the water by twisting and flicking its tentacles with or against the current. These are the two biggest factors it shares with its Pokemon counterparts. Having soft, easily decomposing bodies, the shell is the only part of an ammonite that has been found as a fossil, hence the helix fossil. Kabuto and Kabutops both have more than one possible influence. Kabuto is mainly based off horseshoe crabs, which still exist but are often considered living fossils. Horseshoe crabs, like Kabuto, have large, dome-shaped shells protecting their bodies. Unlike kabuto, however, horseshoe crabs have five pairs of spiderlike legs underneath their shells, used for movement and collecting food. Kabutops is heavily based on the Eurypetrid, or sea scorpion. Horseshoe crabs are often thought to be modern-day Eurypetrids, due to their physical simmilarities. 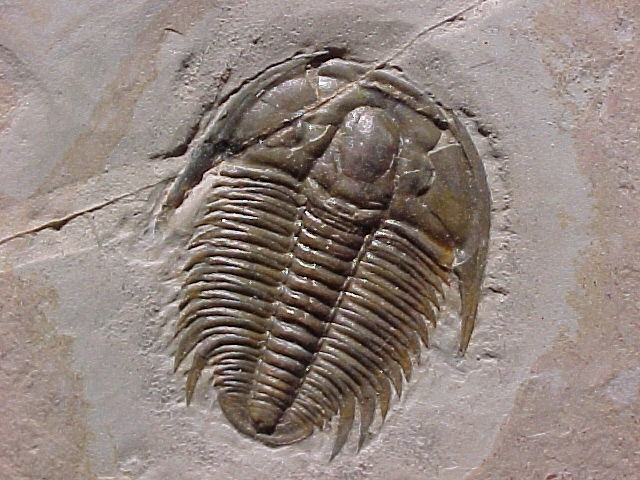 The main influence shared by both Kabuto and Kabutops is the trilobite. The trilobite, another prehistoric shellfish, shares many physical attributes with horsesheoe crabs and eurypetrids. Kabutops is more influenced by trilobytes than kabuto, having simmilar head shape and spikes on its back. Kabutops' predatory nature and large, sickle-like arms are much more like eurypetrids, however. These cross-simmilarities suggest that kabutops is actually based on the cheirurus trilobite, a kind of trilobite with simillar claws and nature. Obviously, Areodactyl's main influence is the Pterodactyl, also known as the Pterasaur, a prehistoric flying reptile. It's commonly believed that the Pterodactyl is a kind of dinosaur, but this is incorrect. The word "dinosaur" technically means a kind of land-living reptile with a particular upright way of standing. Pteradactyls are not included in this category. However, Pterodactyls are not the only thing Areodactyl is based on. The other main influence for this Pokemon is the wyvern dragon, from british mythology. Main simmilarities between the two are the design of Areodactyls wings and head. Basis on the Wyvern could also explain why Lance has an Areodactyl on his team. Lileep and Cradily are based on a kind of creature called a Crinoid, or sea lily, a sea-dweller related to starfish. Crinoids, like their Pokemon imitators, have a "head", called a calyx, consisting of a large mouth and several tentacle arms, a stalk "neck", and a bottom portion with roots that it uses to anchor itself to rocks on the seafloor. Cradily differs a bit from the crinoid concept, however, in that Cradily does not just sit there in the water. It drags itself, and whatever rock it's anchored to, along with it in a search for food. While not all Crinoids are extinct, many species of them are, and those are the species whose fossils have been found. Anorith is an interesting case because, according to its pokedex entries, it may not actually be a Pokemon, but rather a kind of Pokemon ancestor, related to several modern species. Anorith is based on a kind of extinct shrimp-like creature called Anomalocaris(try saying that three times fast...or just once fast). Anomalocaris swam through the sea by flexing and undulating its fins, simmilar to Anorith's "wings". The fins on each side of its body would move simeltaneously, as a single fin, to maximize swimming speed. Anorith also has physical simmilarities to a trilobite, simmilar to Kabuto. Armaldo, while also partially based on Anomalocaris, also shares traits with dinosaurs. One theory about its structure is that, being Anorith's evolution, Armaldo may be based on ideas of what Anomalocaris could have evolved into if it had not died out as soon as it did. Shieldon is actually loosely based on a variety of dinosaurs, but is most closely related to the Protoceratops, a dinosaur not unlike a Triceratops, but without horns. Protoceratops, like Shieldon, had small bodies and large heads. Bastidon, meanwhile, is even more vauge with it's origins, mostly based on the concept of its shield face, which it would use as a barrier to protect its young. 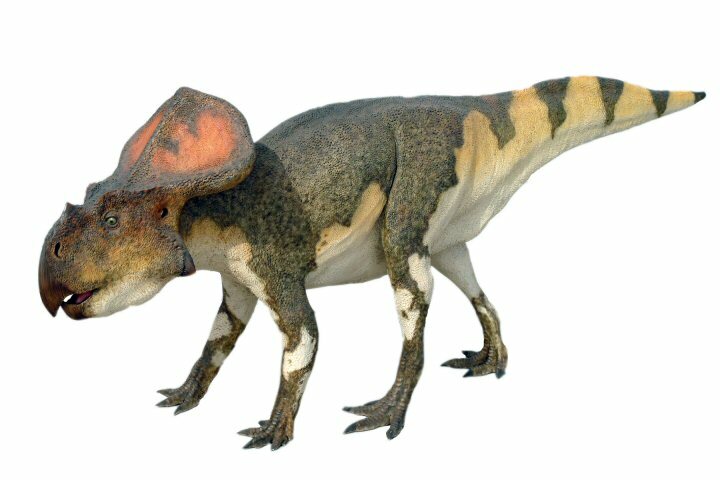 One possible basis for Bastiodon is the Zuniceratops, a dinosaur similar to the Protoceratops, with simillar facial horns. Cranidos and Rampardos are both based on a family of dinosaur species called Pachycephalosauria, all of which had large, dense skulls, most likely used for headbutting, which could be used for fighting, hunting, or communication. Like Shieldon, Cranidos is more loosely based than it's evolution. Rampardos seems to be spesificly based on Stygimoloch and Dracorex, two kinds of Pachycephalosauria with larger bodies, in proportion to their head sizes, than most species in the group. So there's our fossil run-down. Although also worth mentioning, the gen V fossil Pokemon, Purotooga and Aaken(english names yet to be determined), will be covered once black and white come out. Rationalizing concepts everywhere, this is IatosHaunted, signing out until next time.